Random Thoughts » When you are gone for a month…. Home > Fun	> When you are gone for a month…. 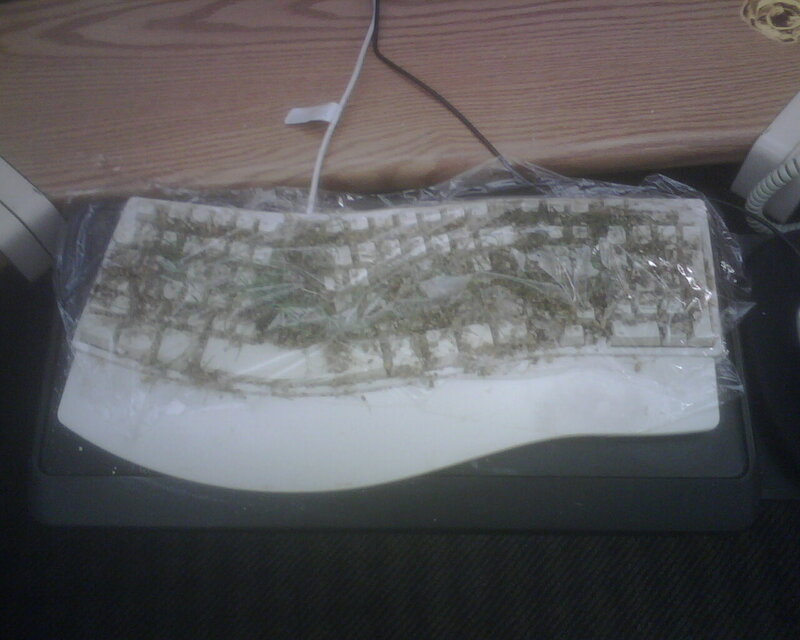 While I was on vaccation, Matt came up with this evil plan to water and grow grass on my keyboard.